I have been to Japan before and I loved it, and this second visit did not disappoint. I was travelling to Japan to take part in the InsightOut database symposium, but first I took the opportunity to visit Fujitsu HQ. I had the opportunity to talk through my ‘Upgrade or move to Fusion Applications’ presentation to our EBS team , and look at some Oracle / Fujitsu projects in Japan. Thank you to all my colleagues who as ever made me feel part of our global family. At Oracle Open World I met Ryutaro Mori who is on the board of OAUG Japan and when I told him I was going to Tokyo he asked if I would meet with their board. Of course I would, it was an honour. 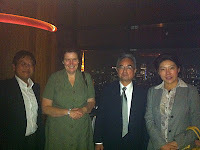 OAUG Japan is always present on our IOUC PDC calls, and very keen to have applications information for their members. 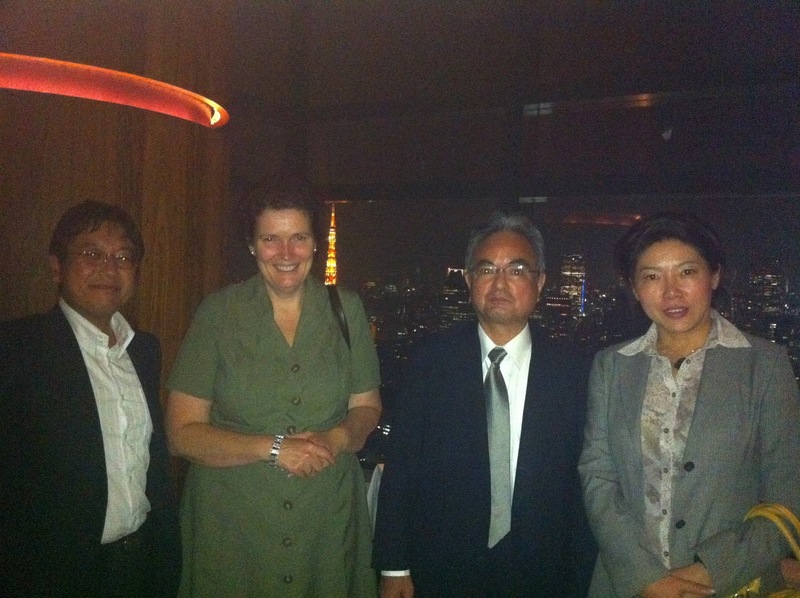 The board and their Oracle liaisons took me to a wonderful dinner on the 42nd floor of the Shiodome City centre Building (where Fujitsu is based) and a fantastic view of the Tokyo skyline and their radio tour at night. The conference itself wins hands sown as the best organised conference I have ever attended It was run by Insight Technology - Hiroki-san (Mizo) and powered by the OakTable, a concept created when Mogens Nørgaard and Anjo Kolk visited Icharo Obata in Tokyo earlier this year. I had met Icharo-san when we were stranded in Denmark after the volcano last year. This conference had 3 days with 3 streams, one of which was streamed live on the internet (including mine). Here I gave my ‘What does Fusion Applications mean to you’ presentation, which I previously gave at MOW. We each met with translators an hour before our presentation and went through what we were going to say. They were so good they spotted an error in my slides. The room was full of people interested in what I had to say, and 6 members of OAUG Japan and 2 from Oracle, paid to attend just for my session, including one from Oracle who is now to sell Oracle Applications. After the presentation we went to the office of one of the board, where we held a great Q&A session. This makes it all worthwhile; sharing my knowledge is what I love best about this role. 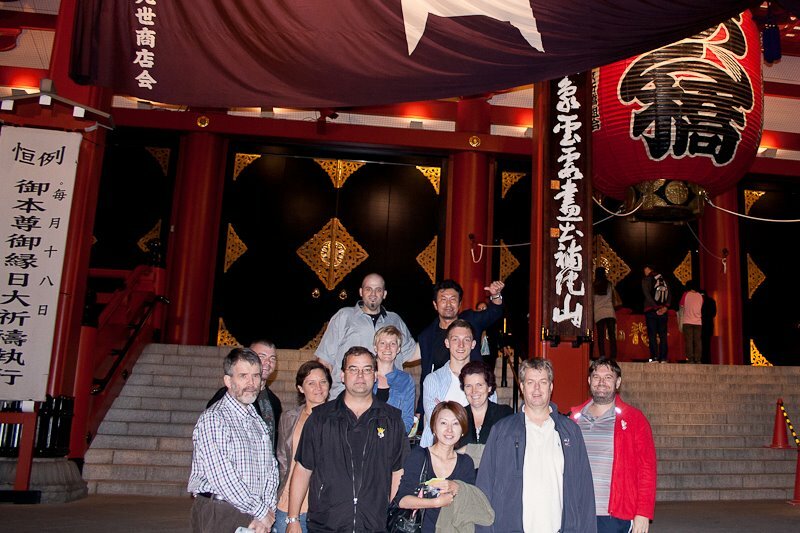 The hospitality of Insight was fantastic; on the first evening they took us on a walking tour of night market and Sensoji Temple, and to a great traditional meal. Apparently in Japan they continue to serve food until you tell them to stop. I don’t eat fish, which is a pity as it is the main food group here including these tiny crabs, but everyone made sure I was catered for, at this dinner, lunch during the event and the meal I went to on my last evening. The event was for 3 days, but Ronald and I left early on the second day as we had to join the OTN tour in Beijing, having missed Thailand to take part in Tokyo. We loved the efficiency of the metro, the trains, the airport, everything ran smoothly.